Welcome to my fall sun room 2018 and thanks to Sheila of Maison de Cinq for hosting Autumn's In The Air Blog Hop. You'll find all the links at the end of the post. If you are new here I'm Kim and I have been blogging since January 2010. 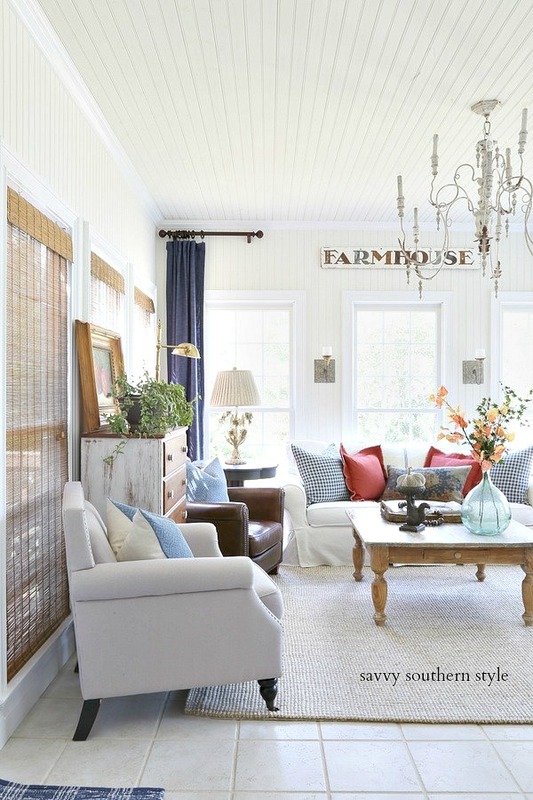 I love French country or French farmhouse style mixed with other styles. 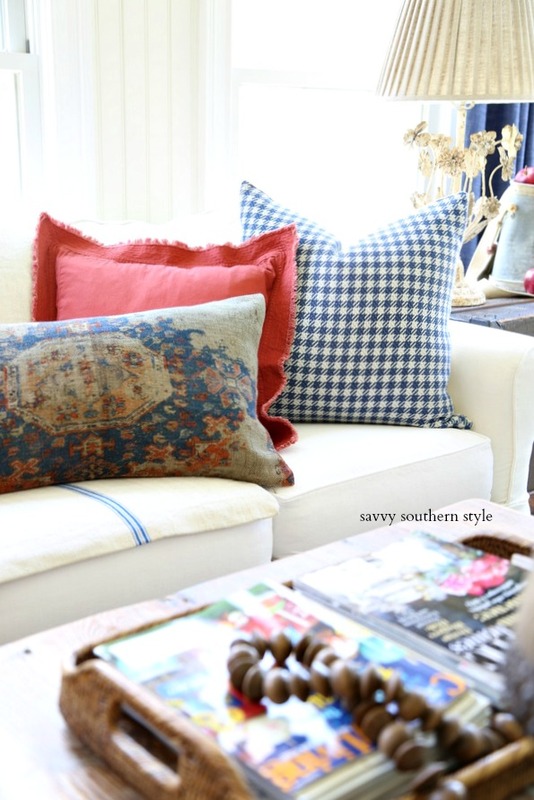 I mix antiques I have collected over the years with newer pieces for a comfortable lived in home. The sun room is the room you will find me in the most as this is where I watch t.v. and it's where I work on my laptop. You won't find an office in our home. 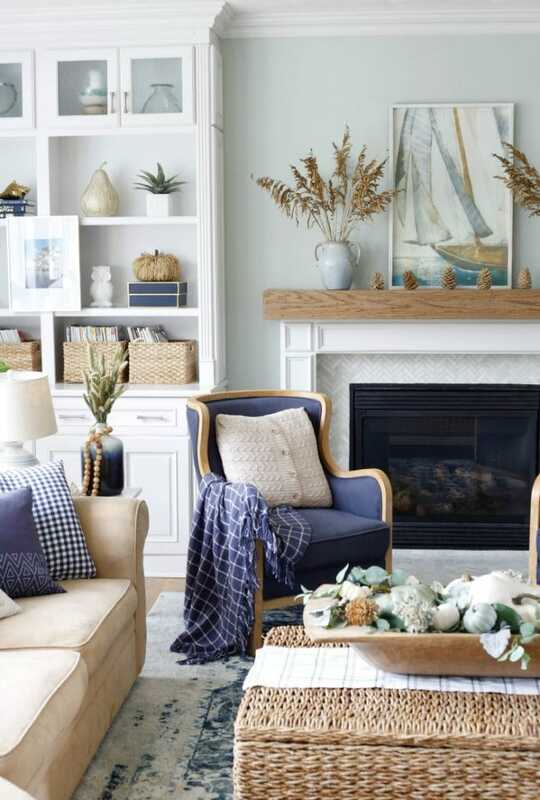 After adding the navy drapery panels last spring I wasn't sure how to add the colors of fall with them and had even thought about hanging the neutral panels back up again, but then while perusing my local Pottery Barn I found my inspiration. If you follow me then you know I love pillows and that is usually the first thing I swap out seasonally or more. 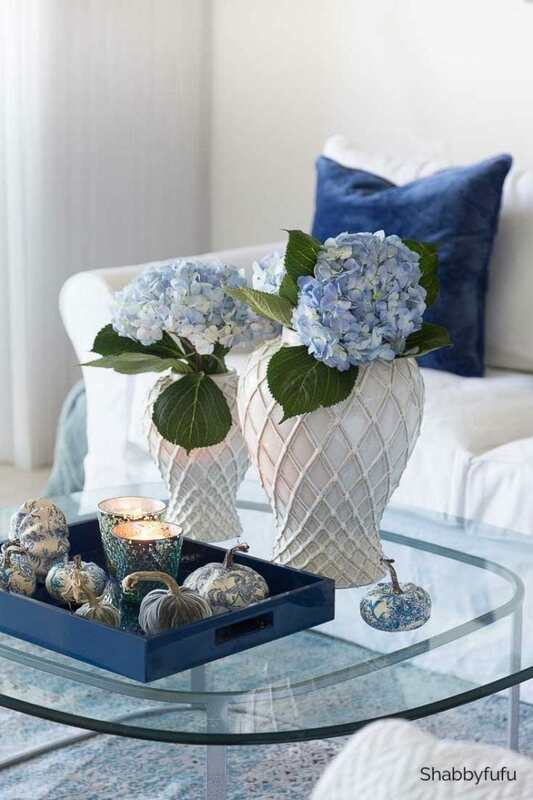 It's just so easy to slip a pillow cover off and slip another one on for a whole new look. If you shop PB then you know they have a clearance section and there is usually a basket or two of pillow covers deeply discounted. I scored the two rust colored covers in the clearance basket and they rung up even lower when I checked out. The printed cover which is a heavy fabric is a newer cover, but it was on sale at fifty percent off. I just added these with some blue pillows I already had. 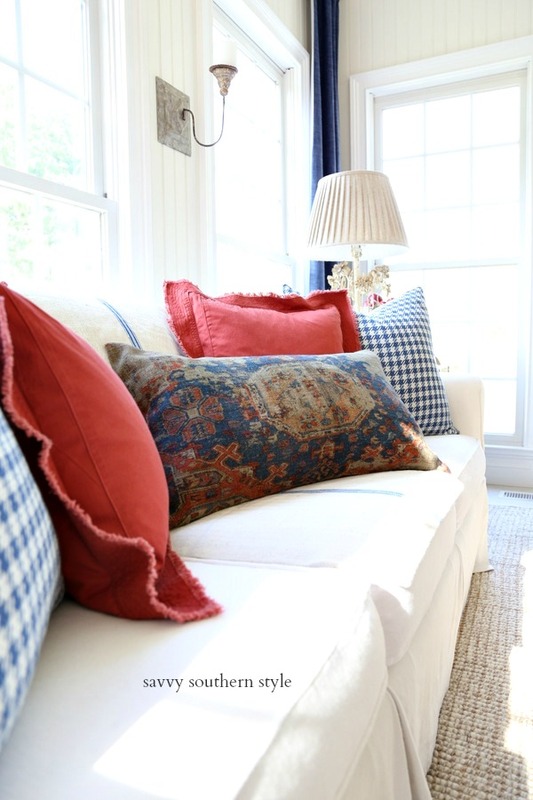 The blue checked pillows were ordered from an Etsy shop last year. I pulled out this old tattered quilt in the most perfect colors to go along with the color of the pillows. 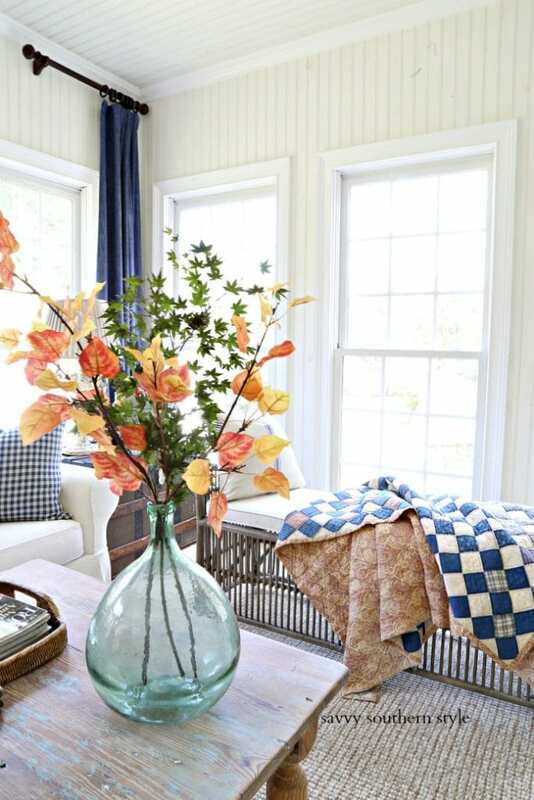 A couple of faux aspen branches mixed with a real maple branch fill a vintage demijohn. I'm waiting for that maple tree to change to the prettiest red. 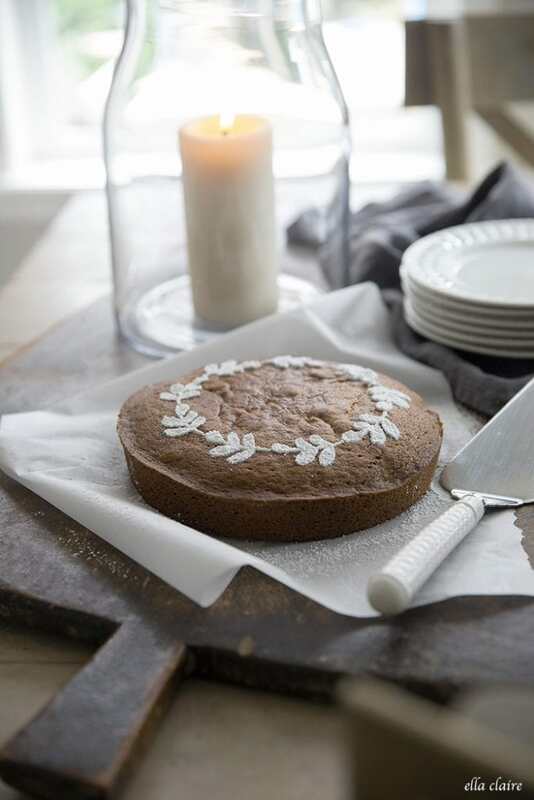 I love to decorate with apples for the fall. 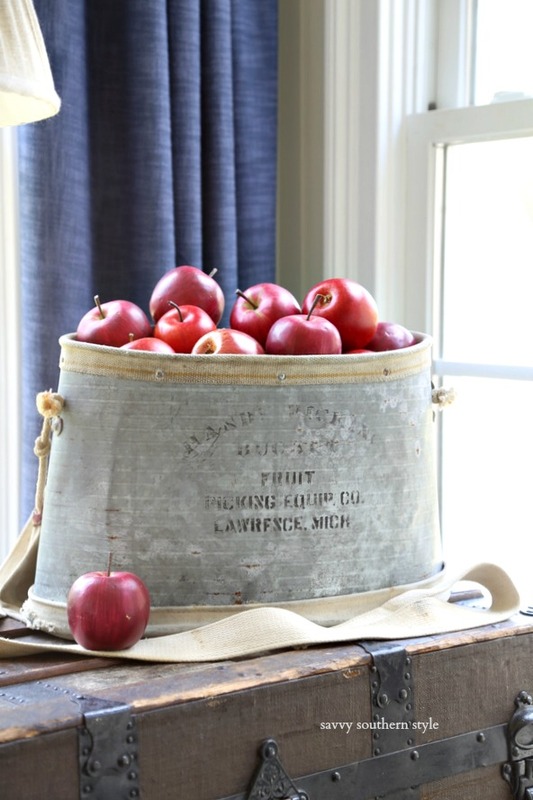 I filled my vintage fruit picking bucket with them. Doesn't this make you want to curl up with a good book? 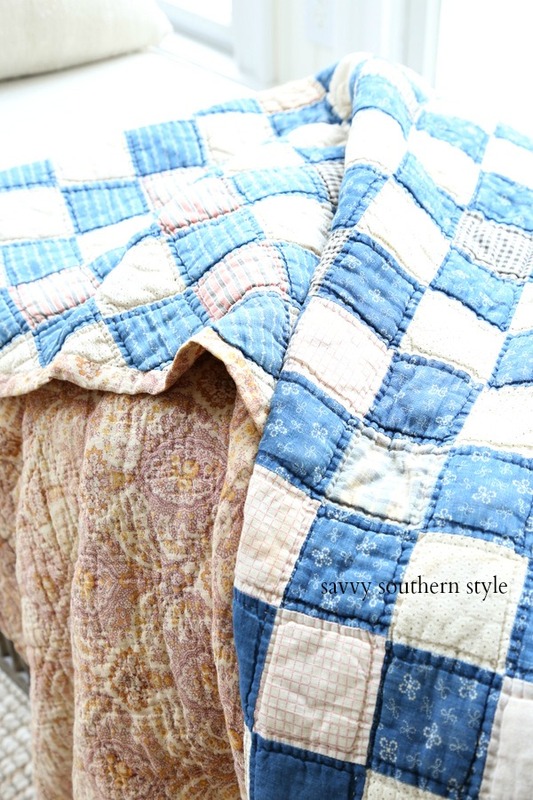 I love the worn and faded colors of this old quilt. 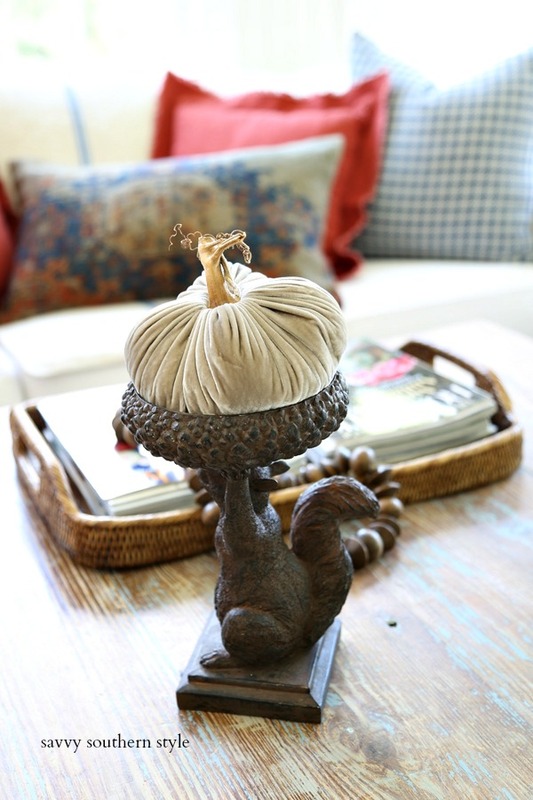 My favorite squirrel holds one of my velvet pumpkins. I always bring my apple painting back out this time of year. 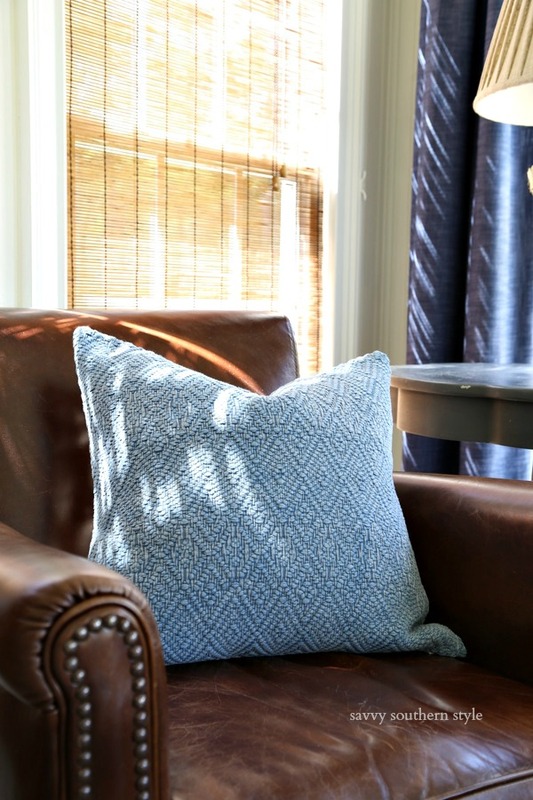 More blue textured pillows are sitting in the chairs. This is the chair I work in each day. No office needed. 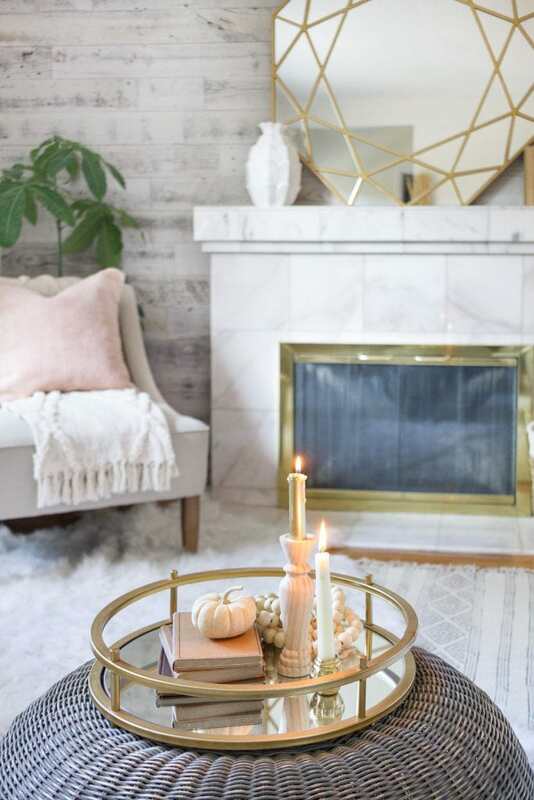 I hope you found some inspiration in my fall sun room this year. 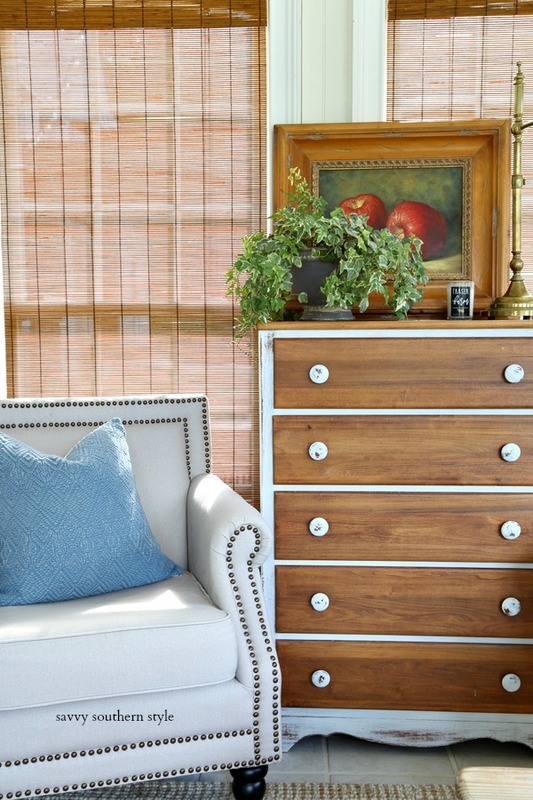 Next up is Kim of Sand and Sisal and I know you will love her beautiful style. Be sure to visit the other ladies below for many more fall ideas. You can check out my sun room from last year here and 2016 which is a favorite of mine here. After admiring your rattan bench, I decided to order one. It was out of stock for months and months. Then when we were in Croatia two weeks ago, I received an email saying it was back in stock. I ordered it on that Thursday, and it was sitting on our front porch when we returned home from vacation on Saturday. I LOVE it. Thanks for the inspiration. That's great Janette! It is a nice piece for the money. Love the blue and rust together Kim. Cozy fall colors. You're truly a master at this Kim and I love those blue drapes in the room! So lovely Kim! It's all so cozy! I could curl up on the couch with a cup of tea. I love your coffee table, Kim! Did you buy it at an antique store? 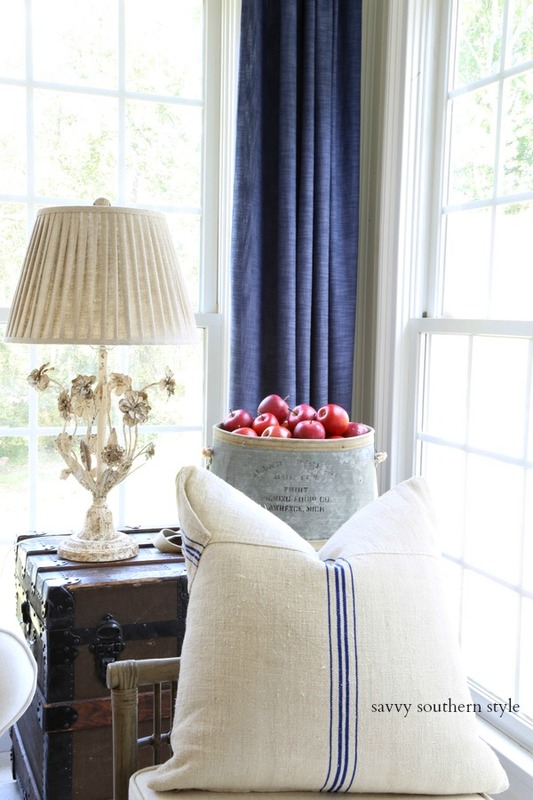 The navy blue is stunning with the other fall colors. Must remember that next year! Looks really beau-ti-fall!! 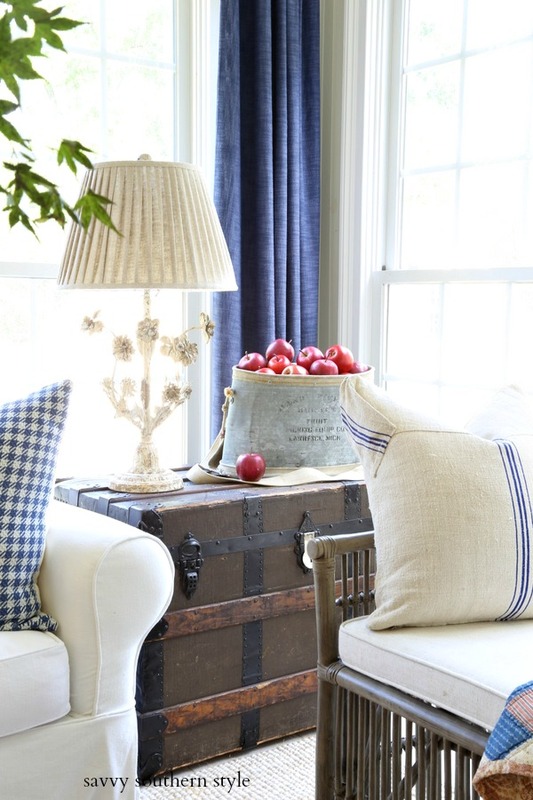 !....love the accents of orange and blue...and always love seeing that amazing apple bucket! Kim you know I always love your sunroom and you never disappoint with your decor in there. The blue and white is so pretty. It is all beautiful. Have a great week. YES! 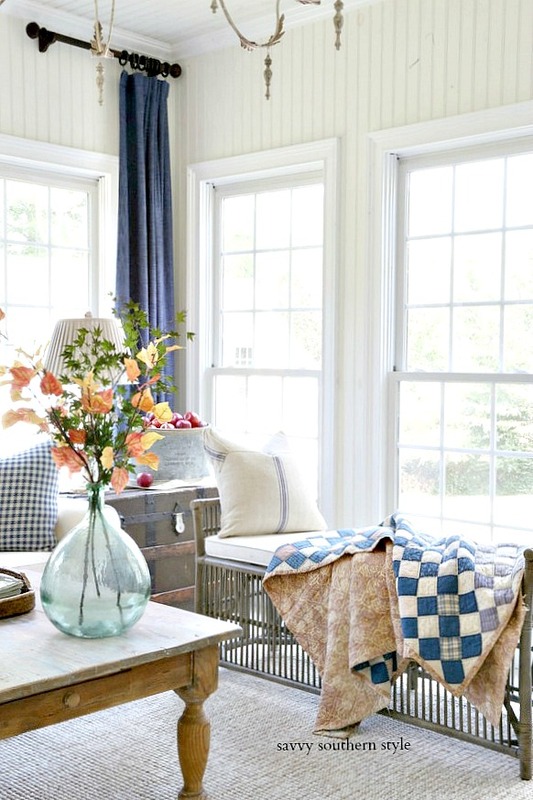 I could definitely curl up and take a nap in this room, wrapping myself in that vintage quilt. I bet it's really soft from years of use, too! Gorgeous! Thanks so much for joining us Kim, and happy fall! I love your wall colour with the navy blue. What colour is that? Mandi, thank you and it's White Dove by Benjamin Moore. 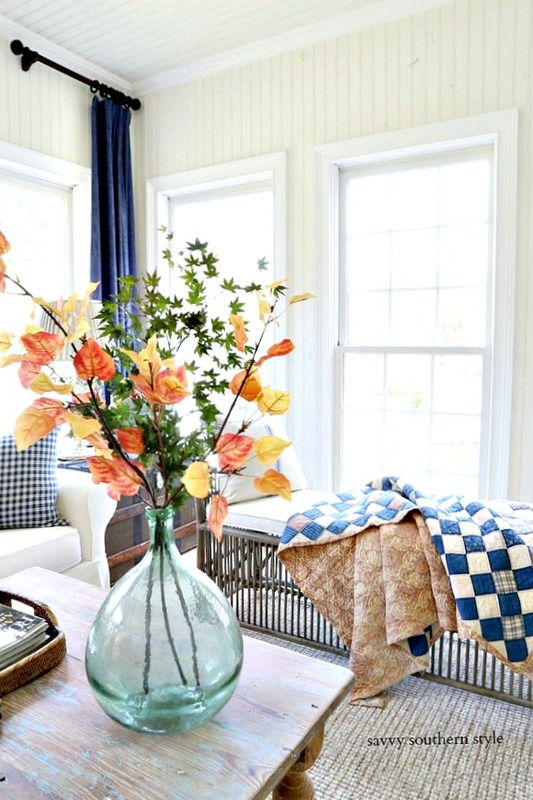 Kim, I always love the sunroom in any season! The fall look might be my favorite! 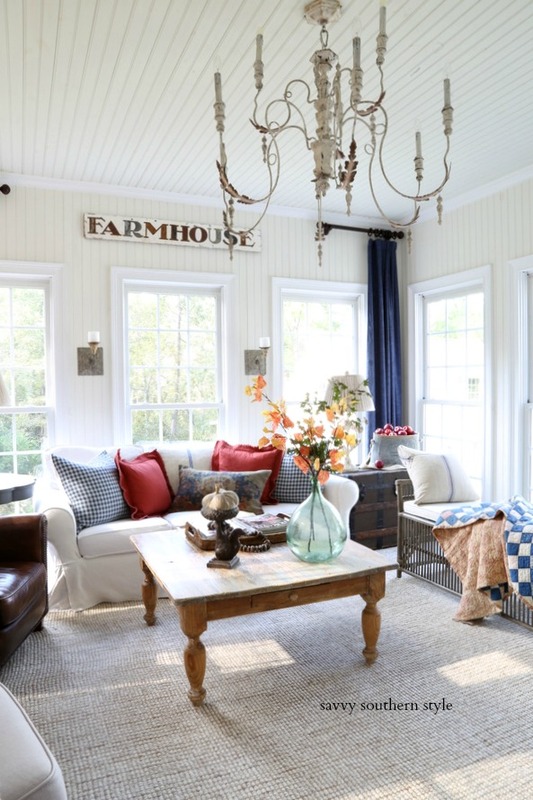 Your sunroom is always a favorite, Kim. I love the color combination. Blue and rust was a huge scheme the year I got married. I've got it out on our deck for this fall. 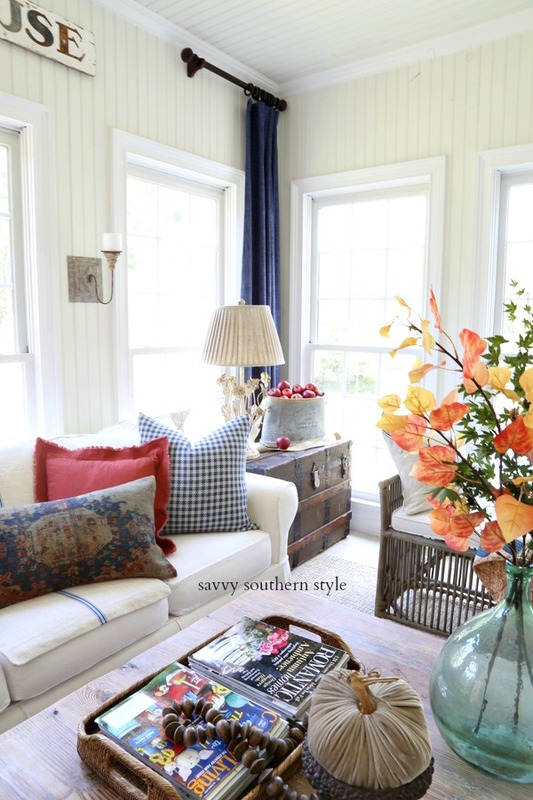 I love the pillow cover, quilt and apple painting. It's so pretty and a lovely place to work. Have a great day.